Fall is a busy, busy time of the year on the art scene. So many things new shows and so little time. Let us help you sort out your to do list – from screenings to plays, to author events, to new gallery shows. Oh yeah, lots o’ gallery shows. Here’s a sample of what we got for you. “Frame of Mind,” KERA TV’s series featuring independent film from Texas, turns 25 this year. Come celebrate with Art&Seek and our producing partner the Video Association of Dallas at a free screening and party at the historic Texas Theatre in Oak Cliff. The Helen Frankenthaler exhibition at Fort Worth’s Amon Carter closes this week. 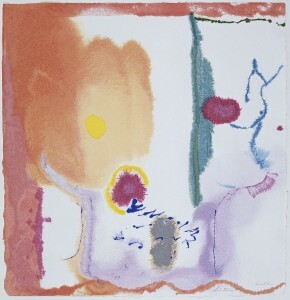 Although widely known for her colorful paintings, Frankenthaler was equally creative and adept at printmaking. You only have until September 10 to see “Fluid Expressions,” a collection of the iconic painter’s printmaking. 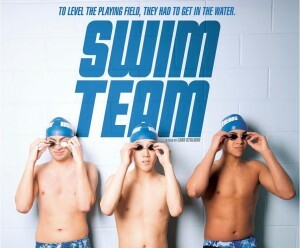 The documentary “Swim Team” follows three boys on the autism spectrum fighting for inclusion and victory in out of the swimming pool. Go to the Texas Theatre in Oak Cliff to see a screening and to meet members of the cast and filmmakers. Tess Gerritsen’s thrillers inspired the TNT television series “Rizzoli & Isles.” Enjoy an evening conversation with the author when Gerrisen visits the Frisco Public Library. 2017 Grammy Award winner Sturgill Simpson heads to the Verizon Theatre at Grand Prairie. Check out the modern country singer’s thundering voice and impressive lyricism. Also on stage will be Fantastic Negrito. 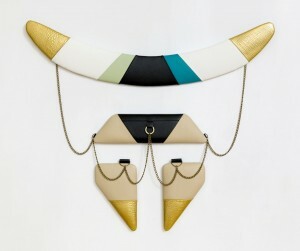 The Arlington Museum of Art opens a retrospective of the works of Kenda North. 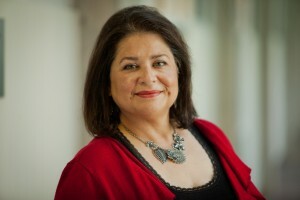 She’s a well-known photographer in North Texas and a professor at UT Arlington. The exhibition, Seeing is a Nervous Habit, will be accompanied by a collection of works by UTA students inspired or taught by North. Photographs Do Not Bend shines a light on one of Texas’ most famous criminal couples in their exhibition: Bonnie & Clyde: The End. The show highlights the deadly aftermath of a two-year manhunt for the outlaws. CYDONIA is curating the group show, Homecoming, at the ART7 Crockett Community Gallery. Four artists take on the idea of home in this opening reception for Fort Worth’s Fall Gallery Night. For more gallery openings this weekend check out this handy our handy guide. Artist Enclave of Denton County celebrates the majesty of animals with concerts and artwork. See Menagerie on Sunday at UNT on the Square. Explore the many facets of India with “Rang De! Color Me India” at the Irving Arts Center. 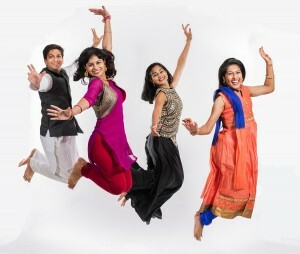 The Broadway-style production features everything from classical music to Bollywood dance. October 2017 marks the 30th anniversary of the inaugural display of the AIDS Memorial Quilt on the National Mall in Washington D.C. 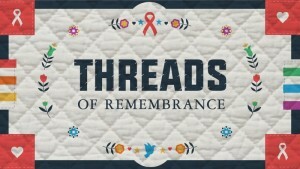 The new exhibit, Threads of Remembrance at UNT’s Willis Library reflects on how AIDS shook America, DFW’s response and what’s changed since then. See beautiful handwoven items made of silk, wool, and cotton at Over, Under and Beyond, the Fort Worth Weavers Guild’s biennial show. Works woven into scarves, towels, wall hangings, rugs, and sculptures will be on display at the Fort Worth Community Arts Center through September 30. 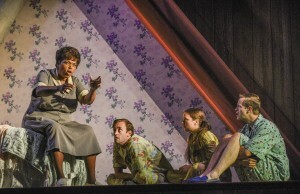 The Dallas Theater Center’s “Miller Mississippi” examines family, race, and southern tradition in Jackson Mississippi during the 1960s and 70s Civil Rights movement. See it at the Wyly Studio Theatre through October 1. Patrick Hastie, Gideon Hambright, and James Doyle are comedians from different parts of the country. They’re on the road for a 30 day, 20 city tour across the south and the midwest. The Whales & Beasts Comedy Tour stops at the Sunshine Bar in Arlington tonight.